Darlene Clark sees every person as capable of growth and higher levels of accomplishment. As a “potentiator” and President of Value Partners, Darlene encourages individuals to be authentic and guides them towards professional fulfillment. She helps people identify, focus and build their strengths which enhances their value as individuals and team contributors who drive organizational excellence. With over 20 years’ experience as an educator and Human Resources business partner with organizations ranging from single-site to multi-site locations across the U. S. and around the world, she understands both the common and unique challenges facing employees and employers. Facilitating leadership development programs for senior and middle management. Coaching and/or career development of staff at all levels of the organization. Integrating the Hartman Value Profile process into the organization’s current employee selection and development processes. Managing the development of four Hartman Value Profile databases. Darlene consulted for many years with Goodwill Industries of Houston. As a member of their Board of Trustees and Business Advisory Council, she provided business related staff training, mentored students in their business classes, provided support for their contracts division and chaired their annual fundraising Gala. Darlene’s daughter Abby was born with Down Syndrome. Darlene participates in new parent information and coaching programs. She also speaks to healthcare providers regarding the needs of parents and children with special needs. She and Abby facilitate discussions regarding opportunities for people with disabilities. 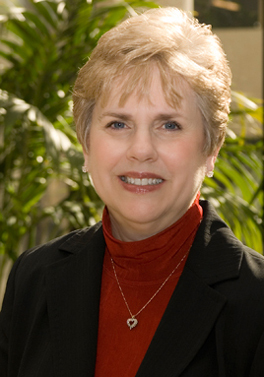 Darlene has a B. S. degree in Education from the University of North Texas and resides in Athens, Texas. She is currently serving on the Henderson County United Way Board. Darlene is also an Ambassador for and Board Member of the Athens Chamber of Commerce. Related to her work and experience using the Hartman Value Profile, Darlene is an Officer on the international Robert S. Hartman Institute Board of Directors.